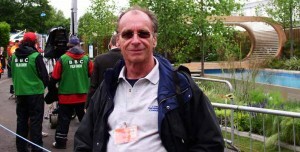 A doyen of the pool industry, Tony Line, founder of London Swimming Pool Company (LSPC) has died aged 67. Tony leaves behind one of the most successful swimming pool businesses in the UK and a lasting imprint on the industry with his passion and commitment to quality and professionalism in the pool industry is legendary. Tony had over 40 years’ experience in the pool industry. He started his pool career in Jeddah, Saudi Arabia as a director of a new venture, where he opened the showroom, purchased all equipment and trained staff from many different countries. Having returned to the UK, in 1984 Tony formed LSPC at home in Roehampton. By 1996 LSPC needed dedicated premises and moved to offices in Southfields. This allowed further increases in staff, enabling them to build more pools and take on extra service contracts. Today LSPC has 25 staff who recently moved to even larger offices in New Malden to accommodate expansion. Tony achieved his dream of building a successful luxury pool company. Jamie Smith, managing director at LSPC said, “We’ve had the privilege of working for one of the pioneers of the UK pool industry. Not only was he extremely knowledgeable on all technical aspects of pools, his understanding of how to connect with clients through marketing and PR gave us quite an advantage in our development. “With Tony at the helm, we introduced several innovative products and processes, for example, bringing design in-house enabled us to launch into the lucrative high-end sector working closely with architects and interior designers. Steady growth ensued over the next 10 years, taking LSPC from a six digit turnover company into a multi-million pound business. “Tony had a very caring nature, borne out by the high staff retention in the company, coupled with huge generosity. He was a keen supporter of charities, helping local groups and staff fundraising for the British Heart Foundation and Cancer Research. We also donated £20,000 worth of labour and materials to build the award winning Cancer Research pool at the Chelsea Flower Show with TV presenter and garden designer Andy Sturgeon.